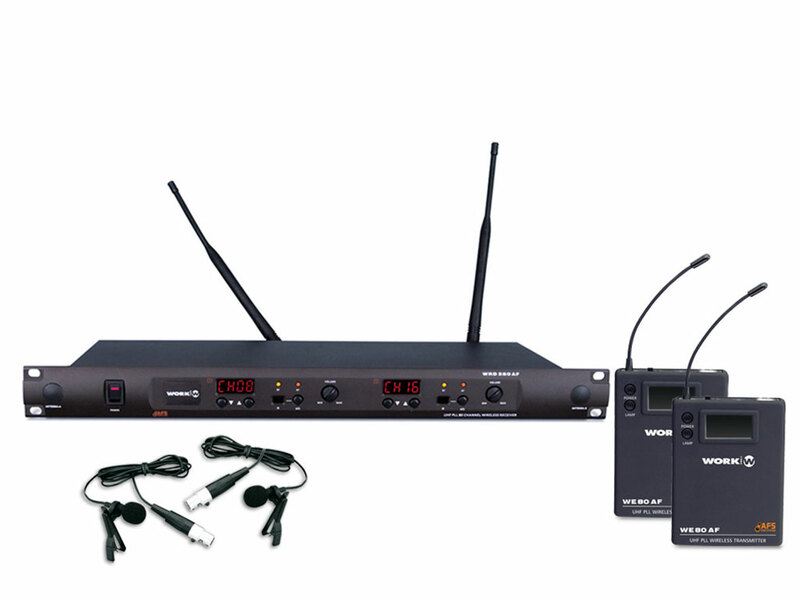 WRD 280 AF is a Diversity two-channel system for UHF band. 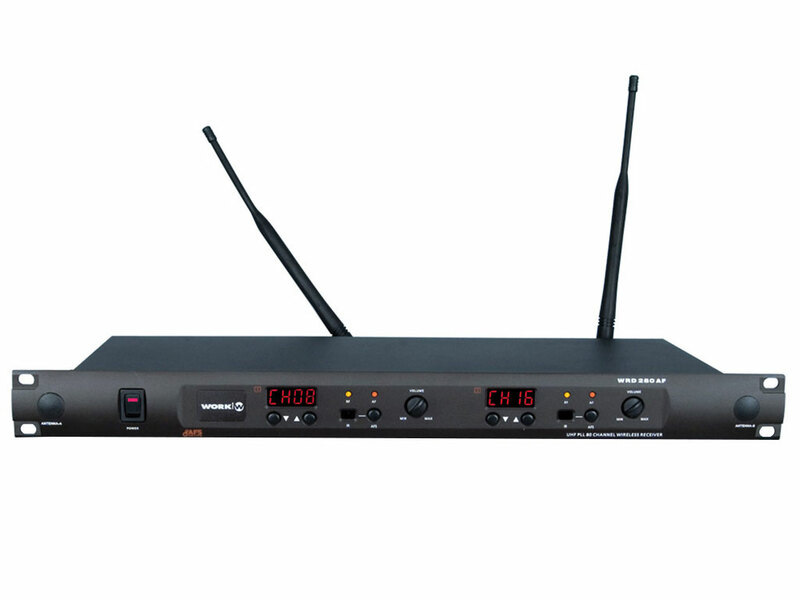 Incorporates the AFS system for channel synchronization between sender and receiver. Each of the 2 channels can selected 80 different frequencies. allowing full use to have a wide frequency range in a single unit. Each of the 2 channels can select 80 different frequencies . allowing maximize the use thanks to a wide frequency range in a single unit. The fine tuning control is done on the front of the receiver to strong environmental interference situations. Frequency band: UHF. 80 frequencies. 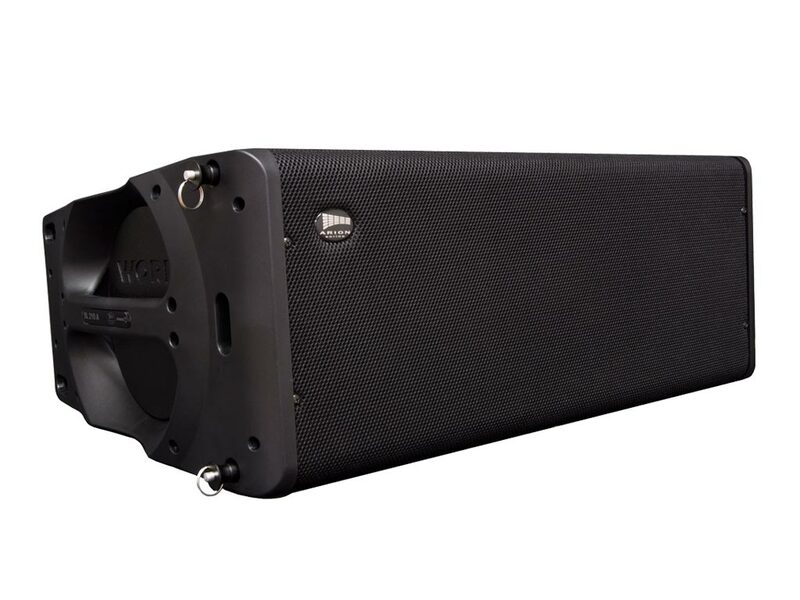 Sensitivity: -92 dBm for 30 dB SINAD.